Peaches and Petals: LIMITED! Deluxe Fall Box!! Our last deluxe box was a HUGE hit, and sold out quickly. Since it was a Peaches & Petals’ favorite we’ve decided to do it again! 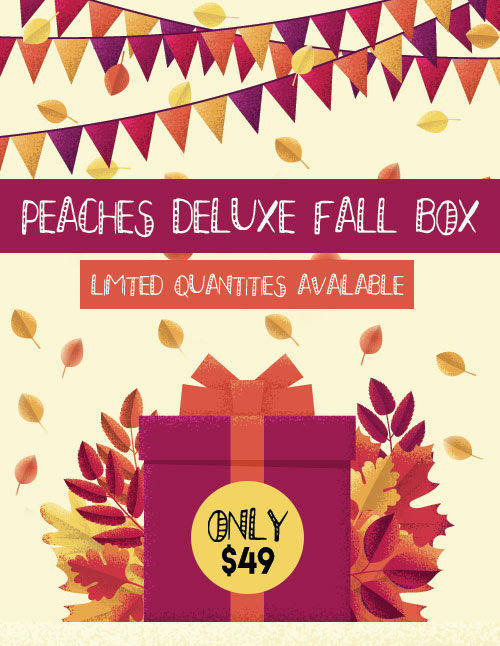 For a limited time (while supplies last) we are offering our Deluxe Fall Box! This box is non-renewing and will be packed full of fun FALL goodies! The perfect way to treat yourself or a friend! ← Blue Apron: Fall Sale! Make the most of the season with our cookbook.